Alex Jones, who has been used to getting what he wants when it comes to the GCN network, has lost his lock on the GCN time slots while his show airs, with the Common Sense Club now taking up the third of four GCN channels during the three hours that his show runs, according to the latest schedule as of August 3, 2012. This is significant in that some big name fellow GCN hosts who ran afoul of Alex Jones paid the price in terms of losing their show (Jeff Rense and Michael Rivero) and that any change to his former GCN hegemony is noteworthy. While other hosts have to pay in the neighbourhood of $2000 or more a month for one hour a day, five days a week of airtime, Jones once revealed that Ted Anderson was sending him a cheque for around the same amount, each month. While I know of two hosts who eventually didn’t have to pay anything to stay on the air, Jones is the exception, in actually being paid money. 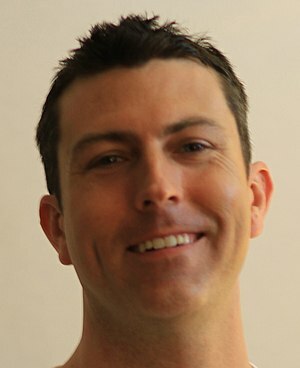 George Whitehurst-Berry’s show reached up to the second-highest position among online listeners of all shows on the network, getting up to at least 90% of Alex Jones’ live online GCN listenership at one point, in the hour before Jones’ show, only to be suspiciously cancelled in April 2012 after four and a half years. This latest development lends more confirmation to my contention that the cancellation of George Whitehurst-Berry’s show was not primarily a business decision, if at all, since the previously unassailable precious three hours of time is more valuable than the hour before them in which Berry’s show ran. For more on Alex Jones, see my articles here. First they ignore you, then they attack you, then you win. I first emailed Gary North on July 25, 2010, for clarification of his May 28, 2008 claim that gold and silver coins produced by the U.S. Mint aren’t real money, despite being legal tender. I received no response. Then, I started noticing other questionable claims that he made, which can be found here. I sent a few other emails, all with no response. Then, Michael Rivero’s WhatReallyHappened.com picked up two of my articles about North’s outlandish claims. It was only when Max Keiser picked up my article on Gary North’s fool’s gold standard that North responded to me, by bragging about writing over 900 articles for LewRockwell.com. Yesterday, I had the fortunate opportunity of guest hosting George Whitehurst-Berry’s Crash! Are You Ready?, and starting at 14:15, I covered Gary North’s fool’s gold standard, as well as his compatriot’s misleading testimony to Congress, about the Fed creating boom and bust cycles solely as a result of its increase in the money supply, saying nothing about the subsequent contraction of it through an increase in capital requirements and the fractional reserve gold standard. It’s funny, isn’t it, how my emails to him suddenly gained more credence once I got coverage of his statements out to ever-wider audiences. North responded yesterday to my notification of quickly catching up to his audience by informing me that he was placing me in his “Nut Job files” and would block all further emails from me. Until others call him out by email and other forums on his outlandish claims, he’ll continue spouting them.